Welcome to the first edition of the Best of the Broad Online Sale. We have assembled a unique offering for your appraisal. Our focus is to create cattle with balance and style to compete in todays competitive show arena but more importantly make an impact in the pasture as breeding females. The Best of the Broad Group has placed huge emphasis on structure, body shape, and overall appearance. We have utilized the best females we own and mated them to the industry’s hottest sires. Multiple breeds are represented in this event; therefore, we feel you will find something that sparks your interest. We are passionate about helping youth with their show calf project. We believe the lessons you learn and the memories you make while exhibiting livestock enrich our lives. The time you spend as a family and with your peers is priceless. In our opinion it is the greatest way to raise your children. 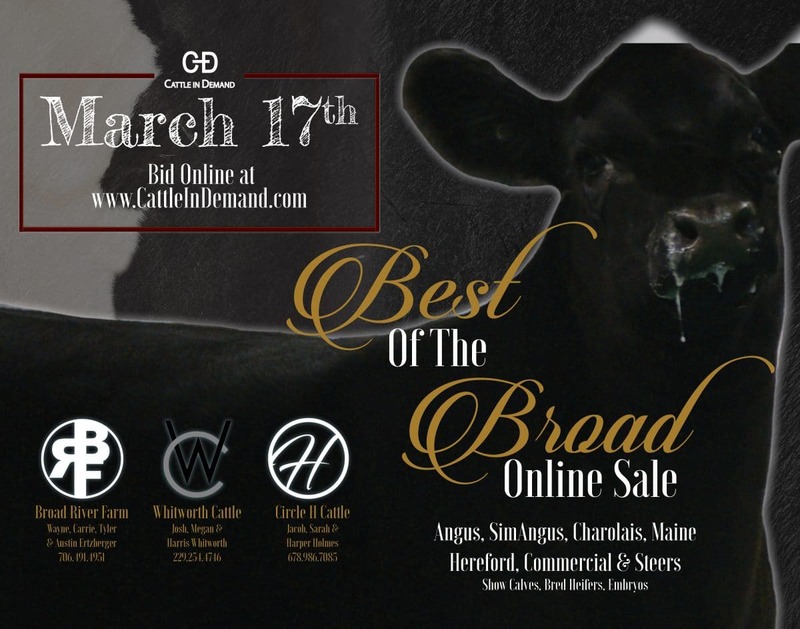 In this event you will also find an awesome set of bred Angus females. Broad River Farm made an investment to propel their Angus program two summers ago from Thomas Angus Ranch. These females are direct descendants of decades of Thomas breeding. The cattle are available for viewing anytime. Contact Jacob, Josh, or Wayne for details. Thanks to everyone that has helped our team along the way and we look forward to developing relationships with our customers. Enjoy the stock and come see us. 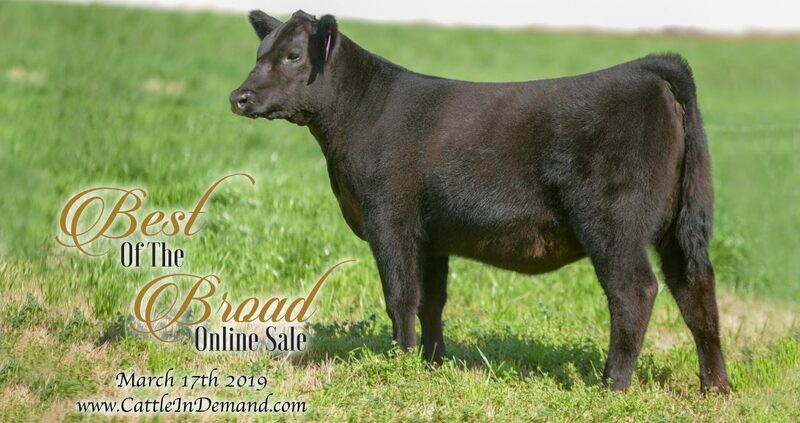 Terms Of Sale: Best Of The Broad retains the right to two successful flushes, on each female in the sale, with a minimum of 6 viable embryos at the sellers expense and the buyers convenience. The Sale Offering: Selling the top end of our crop with the backdrop in mind for the kids! Heard Health: All cattle will be accompanied by a valid health certificate for immediate shipment anywhere outside of Georgia. Cattle Viewing: Stop by Broad River Farm to view cattle. The Cattle will be on display the weekend of March 9th and 10th and through sale day. Feel free to call and stop by anytime between now and then. Visitors are always welcome!